Cemeteries across the Northeast are refusing to bury the body of Boston Marathon bombing suspect Tamerlan Tsarnaev as his official cause of the death was released. Authorities determined Tsarnaev died of gunshot wounds and blunt trauma to the head and torso after he was run over by his brother, Dzhokhar Tsarvaev, following a firefight with police. Peter Stefan, a funeral home director in Worcester, Mass., told "Good Morning America" that he has already looked for plots in New Jersey, Connecticut and Massachusetts to bury Tsarnaev, but has had no luck. "Is he a terrorist? Sure he is a terrorist, but I can't control what he did. But the person is dead, and burying a dead body, that's all it is," Stefan said. 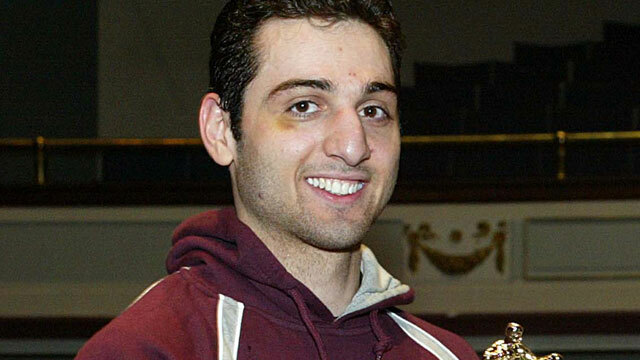 But residents of Worcester, Mass., where Stefan's funeral home is located, are furious that the body of alleged Boston Marathon bomber Tamerlan Tsarnaev remains in the city. "What do you mean just leave it? They don't do that in this country and we bury the worst of the worst here," Worcester resident William Breault told "GMA." Meanwhile, investigators search for more clues into where the Tsarnaev brothers built the bombs used in Boston Marathon attack. Dzhokhar Tsarnaev allegedly told investigators that his brother was the leader and author of the bombing plot, and that the siblings made the bombs in the apartment Tsarnaev shared with his wife, Katherine Russell. Russell's attorney said she was shocked by the bombings, but had no prior knowledge of the attacks being planned. While ABC News has learned that the female DNA found on one of the bombs did not match Russell's the FBI is looking into what her husband may have said to her in a phone call just days after the bombings. In addition, the father of Azamat Ismagulov, one Dzhokhar Tsarnaev's friends arrested and charged with conspiracy to obstruct justice for taking his laptop and allegedly trying to dump a backpack full of fireworks, told ABC News he could not believe his son was implicated in the crimes. "From the beginning, I did not believe and I do not believe right now that my son is guilty," Azamat's father Amir Ismagulov said. "I don't believe it." The Associated Press contributed to this report.